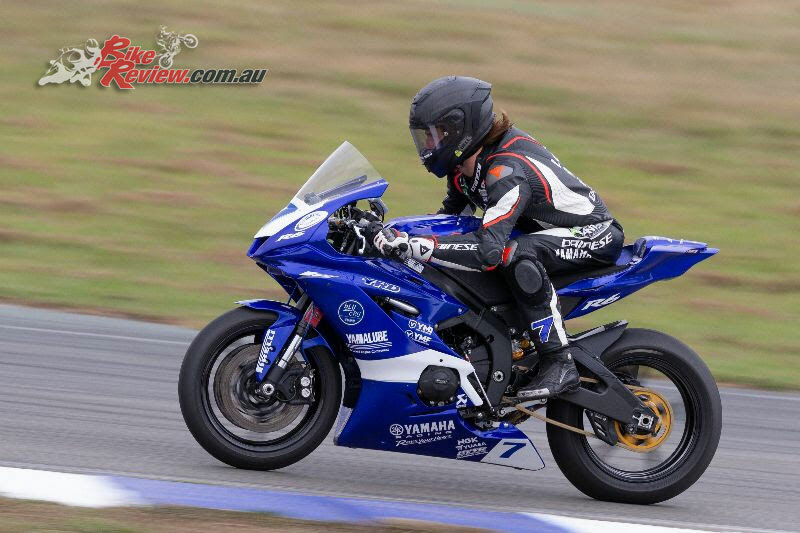 Tom Toparis (Landbridge Transport Yamaha YZF-R6) completed a clean-sweep of the Supersport class at his home race at Wakefield Park for Round 2 of the 2019 Motul Pirelli Australian Superbike Championship this weekend. 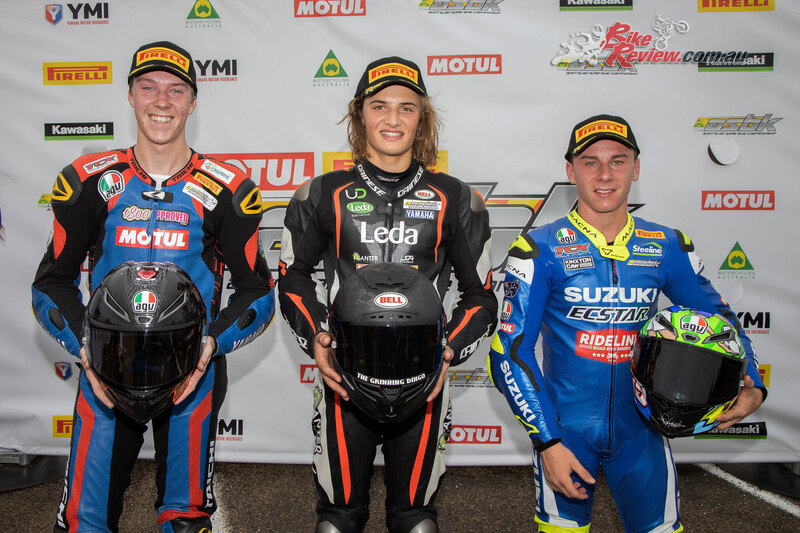 He won both Supersport races in dominant fashion, taking the round win with 51 points and extending his championship lead over Nic Limiton (Yamaha Motor Aust. 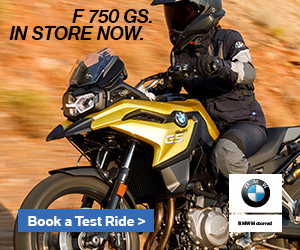 Yamaha YZF-R6). Bayliss was looking for a way past Battye but couldn’t get the move done, and Toparis took his opportunity to create a gap at the front while the other riders squabbled over second place. Lap five and Bayliss had managed to get past Battye and looked to bridge the gap to Toparis. Battye was now having problems defending from fourth-placed Broc Pearson, who found his way past and subsequently went after Bayliss in third on lap seven. Halfway and Toparis was now a second and a half in front, from Bayliss, Pearson and Battye. Pearson snuck up the inside of Bayliss at turn 11 to regain second place, and managed to hold it despite Bayliss piling on the pressure. As the field got away from the start Battye and Toparis got too close for comfort, and on the run to turn three Toparis was shuffled back to second behind Battye and almost fell to third behind Bayliss. Coming into turn 11 Toparis coolly slipped past Battye and resumed the lead. Battye and third placed Pearson managed to hang with Toparis after Bayliss fell to fifth behind Lynch, both making it past Toparis at turn eight on lap two. Toparis drafted past Pearson on the front straight, but Battye managed to hang onto the lead. Toparis then passed for the lead once again as the field started lap five, however it seemed that Toparis was not having as easy a time with the bike than he had enjoyed earlier in the weekend. By lap 10 Toparis had finally started to pull out the lead that we had been accustomed to seeing across the weekend, amassing seven tenths on Battye and Pearson. 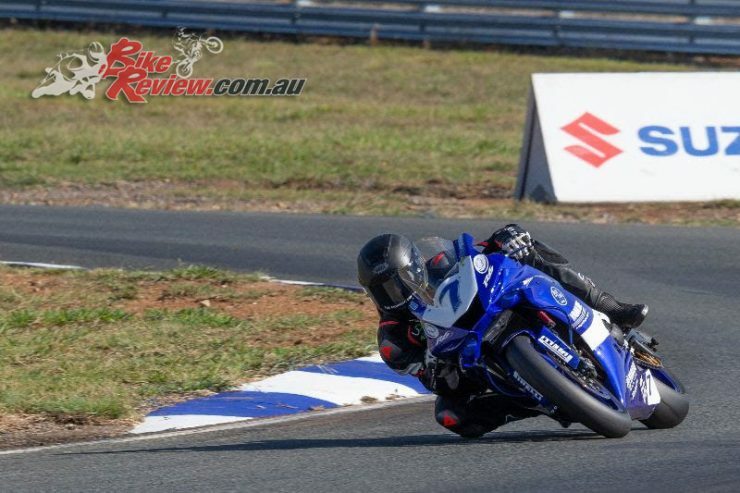 Pearson then claimed second spot through turns one and two, sneaking underneath Battye as the riders tipped in. Pearson then built up a gap ahead of Battye, who was in turn three seconds in front of Bayliss. Further back in the pack a great battle was building between Lynch and Liminton, with Liminton dancing the rear end around under brakes as he claimed fifth spot from Lynch.